at the extra-low early bird special price! 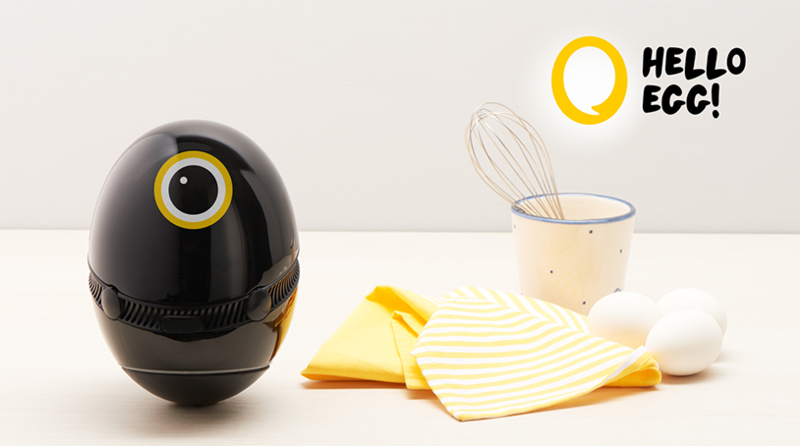 A: Hello Egg is the only voice-operated smart assistant that's good for your kitchen. This sleek black gadget with a display provides the soup to nuts solution for all your healthy home-cooking needs. Q: What does it do except show you how to cook? A: Hello Egg has multiple features. It streams music, reads news, gives weather forecasts, sets multiple timers, and, basically, does everything you can expect from a smart assistant. Q: Can I order grocery delivery with it? A: Yes. Hello Egg can also arrange your shopping lists if you prefer to do your grocery shopping yourself. Q: How is it different from Amazon Alexa or Google Home? A: Hello Egg is designed specifically for the kitchen. It performs perfectly in the kitchen, but It looks good there even when turned off. It has a display, and it turns to follow you when you move around the kitchen. 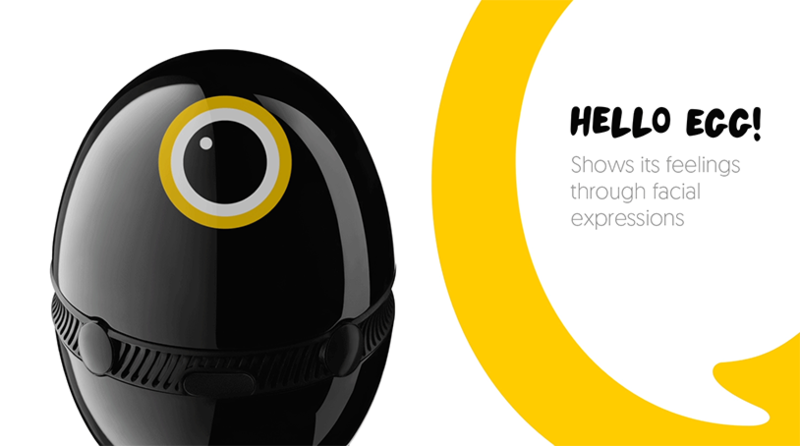 It interacts with you through motions and looks like a real living creature. 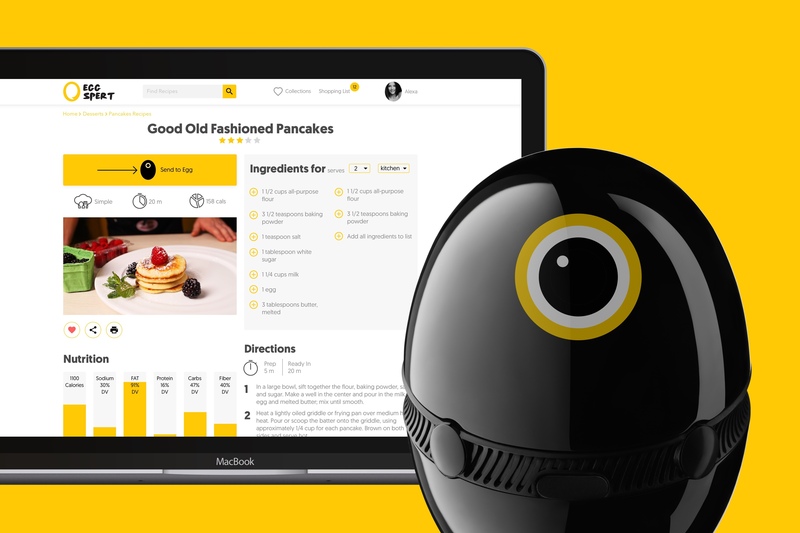 Hello Egg also has a unique team of real human kitchen experts to help you out 24/7. Q: Does it need a power outlet? A: No. Hello Egg uses a cordless charger. Q: How long does it work on one charge? A: 6 to 8 hours — more than enough to have your dinner cooked. Q: Do you have vegan recipes? A: Yes. Hello Egg has recipes to suit every dietary preference. It makes your weekly meal plan according to your diet, and adjusts it on the fly to various unpredicted events like, say, an at-home dinner with your lacto-ovo friend. Q: I’m a total noob in the kitchen — does it make sense for someone like me to buy this product? A: Totally! 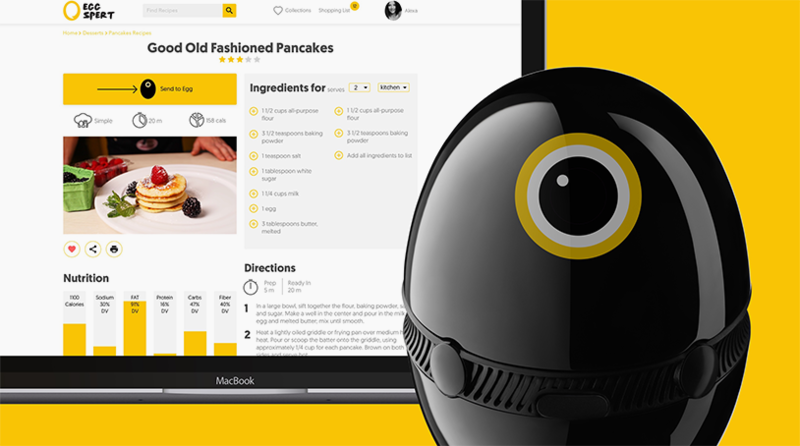 Hello Egg is going to kick start you into home cooking and healthy eating. Q: When does it start shipping? A: Hello Egg is going to start shipping by the end of Q1 2017. Right now, you can preorder it at helloegg.net or apply for a beta-testing program.